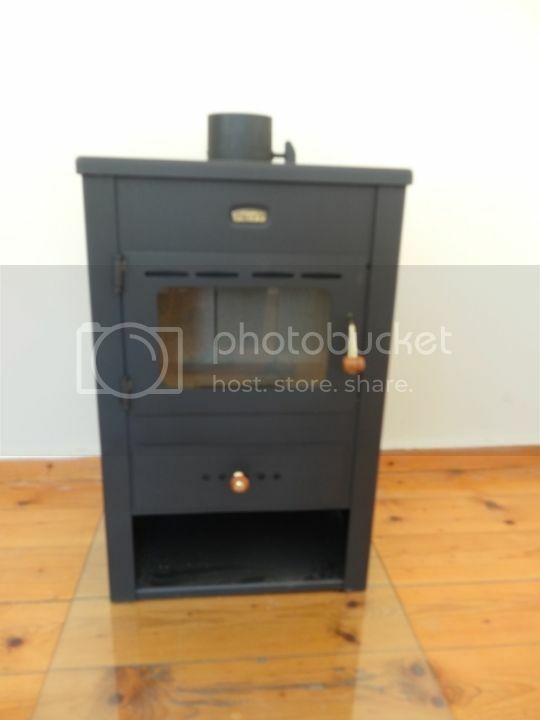 After dropping my electric bills by quite a lump by installing solar panels ive now ordered a wood burner to see if i can get my heating bills down too. 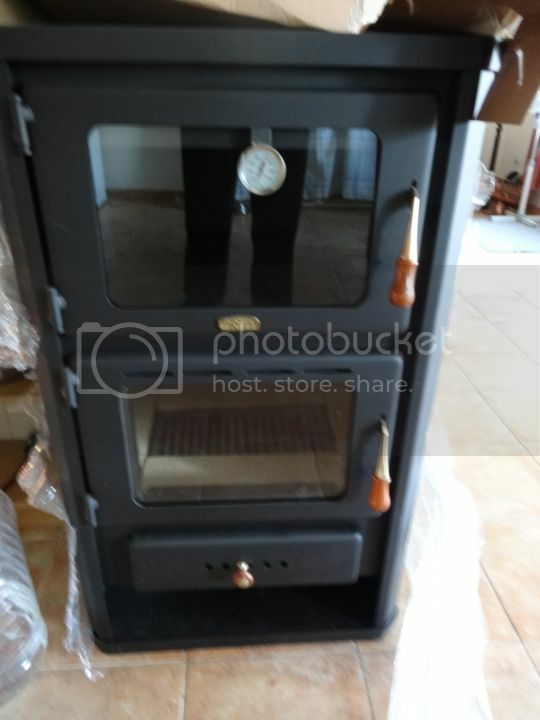 Its going to cost me just short of £500 and will be installed in october with defra certficate to burn wood. So far ive collected 3 van loads of driftwood from the beach which should last me a few months. Will put photos up when it gets installed. Snap, we've just bought two. One for downstairs with an oven, and one to heat the spare room where we do crafting and to keep the rest of the upstairs above freezing. The Prity factory is just down the road so the two only cost about £400. But we had to collect them which was interesting, a middle aged man and arthritic wife. How much did your solar panels save you in electric trappa, and how much did they cost? That was a good price tosca! Doofa- My 2.2KW system cost just under 6k (its cheaper now) and has dropped the electric bills by about a third. With a teenage son and daughter we tend to use the majority of electric on an evening which cant be helped i guess. Digger- The panels we got are electric panels, not the thermal ones, so we still need to source our heating of hot water from the gas company. After the wood burner gets installed im not sure what my next challenge will be. I may look at saving up for solar thermal panels for my garage roof to help with hot water or possibly look at rainwater harvesting. Need to work out actual costs against future savings to see which will be more beneficial. So a 5 year payback? 25 year payback. Looking at 25k coming back to me for installing the panels plus bills cut by a third. I'm hoping to at least half my gas bill with the woodburner, possibly by two thirds over winter. I live near woods so should have an inexhaustible supply. google burning driftwood in a woodstove... opinion seems to be firmly against it .. I think the manual for my woodburner said no as well. Dave. I think I made a boo boo! Cheers for that, looks like I've got a ton if driftwood for the chimnea instead!!!! I reckon I can still burn a lot of it mind, we were hit with localised flooding and a lot had only reached the beach within 24 hours of me collecting it. Google saltburn flooding. I googled it and the advice seems to be that burning it will produce dioxins owning to the presence of chlorine which of course is part of the salt. Would it be possible to leech the salt out by leaving the driftwood in the rain or better still a river ? Looking at how long the Mary Rose's timbers were sprayed maybe not but others may have some ideas. I also seem to recall the habit of throwing a handful of salt on a fire to prevent or is that extingush a chimney fire. Personally being inland I tend to find more than an abundant supply available in skips. @skippy - I'd had the same thought about soaking the salt out - but I don't know the answer. Is it worth the effort? People have been burning driftwood for centuries, most of them are dead mind! Well I've got me a chainsaw! Gonna have the wood chopped, split and drying soon. Been told it's a good 6months before it's burnable but that's ok. Might need to buy my first lot of wood. tosca wrote: Snap, we've just bought two. One for downstairs with an oven, and one to heat the spare room where we do crafting and to keep the rest of the upstairs above freezing. The Prity factory is just down the road so the two only cost about £400. But we had to collect them which was interesting, a middle aged man and arthritic wife. How much was it there (or was the 400 quid for two identical ones)? The one in the kitchen/sitting room has an oven and we plan to keep a kettle on top for washing up and washing the floor. No central heating, we don't want it unless we have to, and no hot water as it would mean too much disruption to change everything. We have a boiler in each shower room and one does the kitchen sink too. They don't really cost much to run. And the one in the larger bedroom in which we have now put all our arty crafty stuff ready for when we are confined to the house. We can sleep in there if it gets too bitter, but really it should keep the rest of the upstairs above freezing.